You think being a teenage girl is tough? Try being a teenage reaper! Dealing with classes, friends, and growing up, in general, is so much more of a pain when everyone is worried you're there to collect their souls. You can't hide that malicious intent so easily. Try hiding a sickle under your coat! But on the other hand, those reapers sure have some cool gothic styles, like this Tween Miss Reaper Costume, which is the perfect look for creeping everyone out on Halloween! Dark, tattered robes aren't exactly the most popular fashion statements, but when you're wearing them with this costume, you're not looking to win popularity contests. What you are looking for, though, are lost souls and spirits to collect and guide to the afterlife, and it's a tireless search that takes up tons of time. How can a reaper be expected to get all of her homework done when she's got a soul quota to meet? Plus, it's hard for reapers to take decent selfies to post online since they are always cloaked in supernatural darkness! But like we said, that's all just part of the job, and luckily no one said you can't have fun while doing your otherworldly duties. 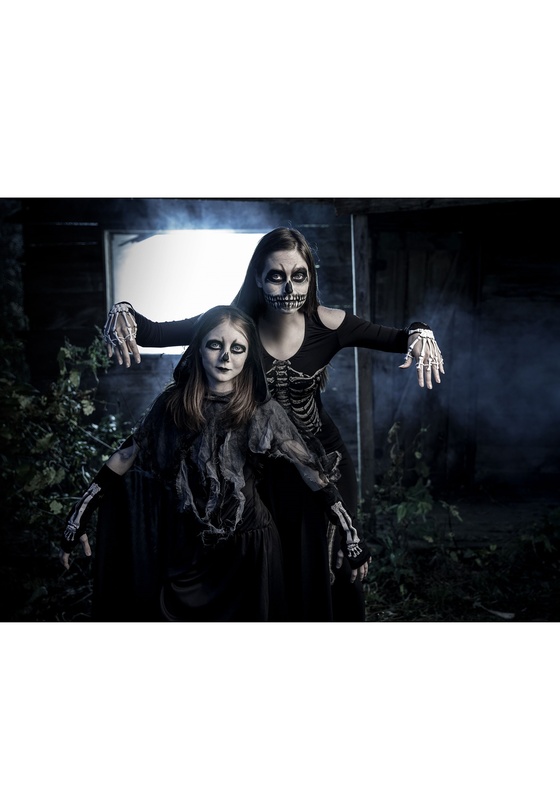 You'll be all decked out for a ghoulishly good time when you're wearing this jagged pullover costume dress. It features streaming mesh drapes, and the tights and glovelettes have skeletal prints on them to give you a spooky macabre effect. If any kids tease you about it, just reach out toward them, like you're reaching for their soul... that should shut'em right up! 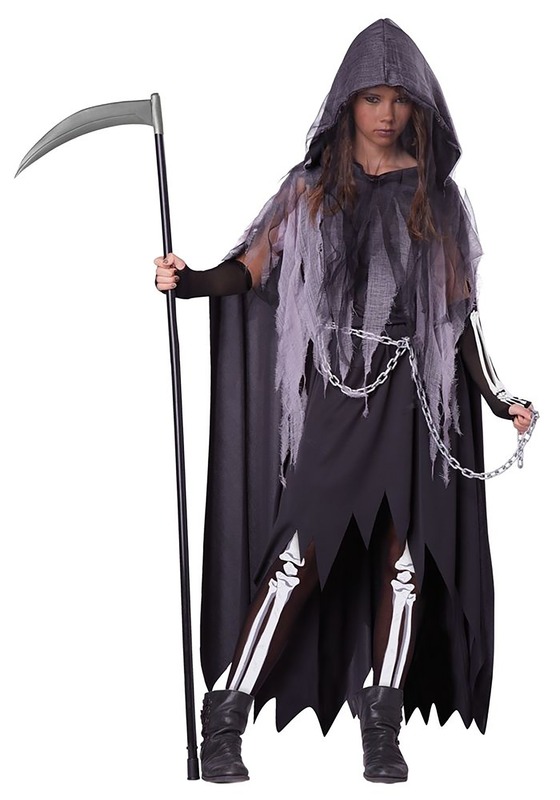 Overall this spooky costume is going to transform you into the evil reaper from everyone's nightmares! School is rough, but the afterlife is tougher. Make it a little easier on yourself with the right look, and that's exactly what this ensemble does!